How do you get gorgeous skin like that Ms Angell? 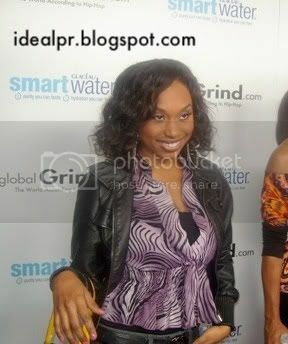 The talented actress Angell Conwell attended the Russell Simmons Introduction Event for Global Grind sponsored by Smart Water (she is throwing up the "O" for Obama). 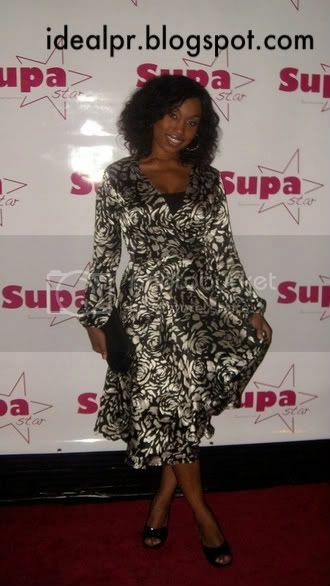 In addition to Angell Rocking the flyest handbag at the event that night, others such as Russell Simmons, Nia Long, Eric Benet, Vanessa Williams, Raphael Saadiq, Lauren London, Faune Chambers and many others jammed to the sounds of DJ Dris (Idris Elba "Stringer Bell from The Wire) and partied like it was 1999. Special Thanks to Susan Lawlor and her staff for making everything confortable for Angell, Neeta, Lazee and everyone else. 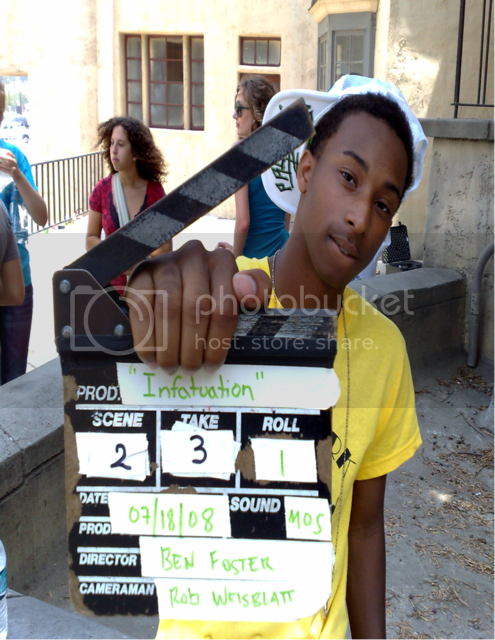 Director Ben Lee Foster Films "Surviving Brotherhood"
Director Ben Lee Foster is enjoying being the youngest intern BET films has ever allowed in its LA offices, but his excitement this weekend came from beginning the filming of his next project "Surviving Brotherhood" starring Malcolm David Kelley (LOST) and Paige Hurd (Everybody Hates Chris). 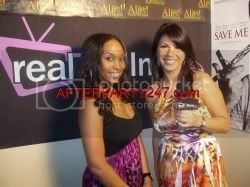 Real TV Films interviews actress ANGELL CONWELL during the 2008 Emmys Week. 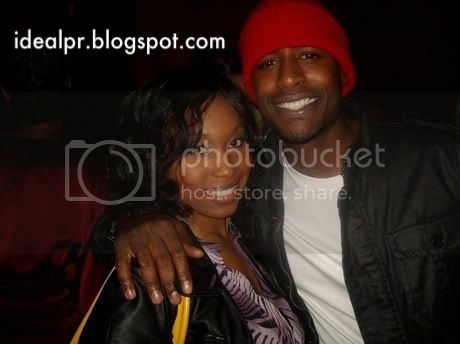 TUNE IN AT 4:20pm PST (Cali Time) via http://www.celebrityspotlightradio.com/ to hear Ben Lee Foster. 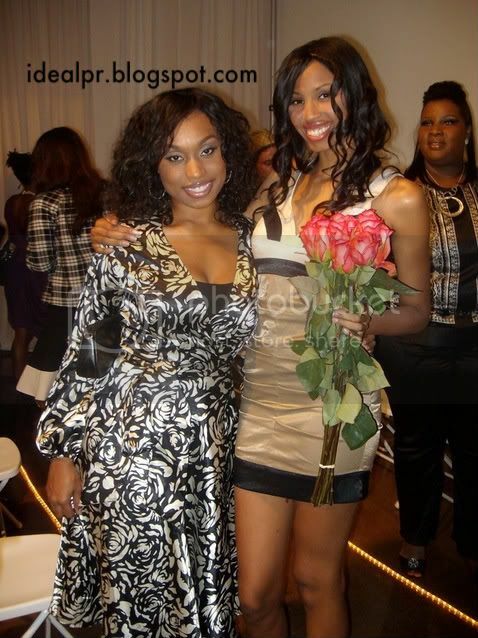 Busy Actress Angell Conwell is in North Carolina filming the DVD project "There's A Stranger In My House"
Its about a family that is going through a divorce that is slowly but surely tearing each of them apart. 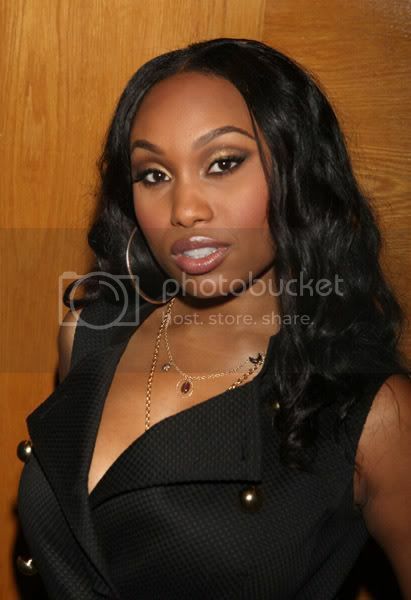 Angell Conwell plays Chelsea, a young, boy crazy spitfire that's somewhat of a bad influence on her best friend,Harmony (played by Tamika Scott of group Xscape). The project cast includes Clifton Powell, Vivica A. 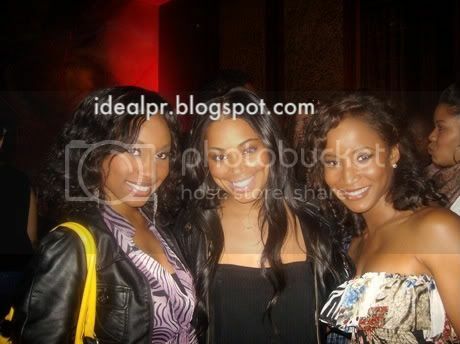 Fox, Tamika Scott, Angell Conwell, Sam Salter and Carl Payne. There is a live filming of the play @ UNC Wilmington today October 4th (Saturday night) @ 7pm. The October Issue of JENESIS Magazine is online and HOT. Thomas and Brian take graphic designing to the next level with their edgy and colorful layouts behind articles actually worth taking the time to read. 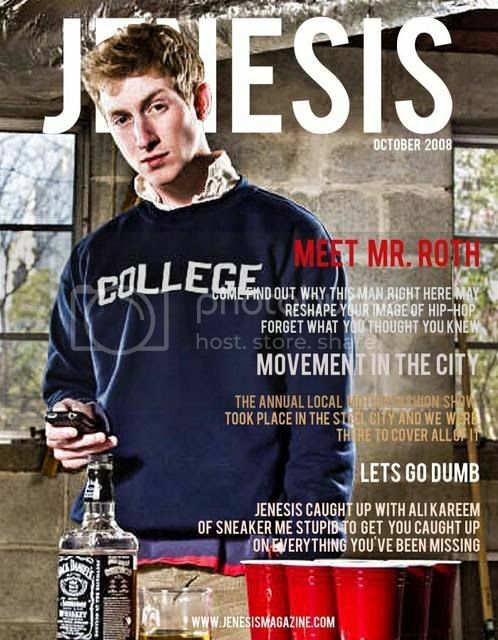 Maybe that is why JENESIS Magazine is the top Online magazine based out of Pittsburgh. Visit http://www.jenesismagazine.com/ and look at the issue online and download your pdf copy for free!!! For Content submissions and publicity inquiries you can contact Ideal PR. Peep the spotlight on Shaun Livingston and his Foundation launch event in Santa Monica CA in Septemeber 2008. 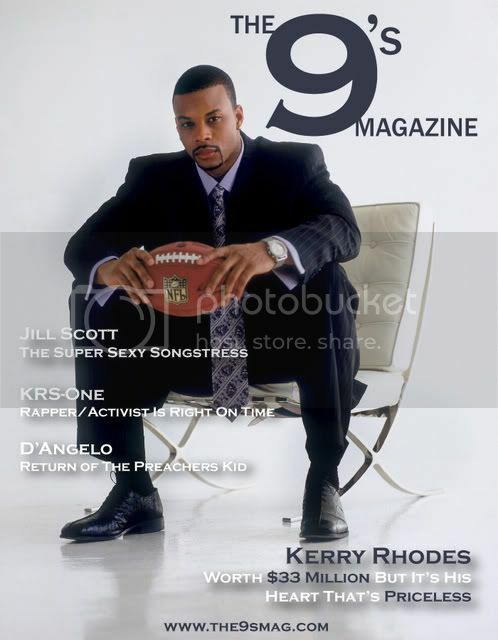 R&B Singer Chico DeBarge recently unveiled the new look of his personal magazine project “THE 9’s” Released on the 29th of every month, the September 2008 issue of THE 9’s contains featured articles on singers Jill Scott, D’Angelo and rapper/community activist KRS-One. In its 16th month of production, THE 9’s Magazine unveils its new slick layout design featuring the NFL’s New York Jets player Kerry Rhodes. THE 9’s contains nine (9) featured sections of the magazine each month with a particular focus on fashion, music, health and the arts. Additional features in the September 2008 issue includes writers Yolonda Coleman, director Damond Gordon and his film The Rothstein Diamond, graphic artist Rodney “BUCK!” Herrring, health topic Sarcoidosis, South Carolina’s Restaurant Gullah Cuisine, Flirty Girl Fitness and what is happening on the celebrity front in Hollywood. Originally launched in June of 2007, Chico DeBarge along with Shelly McAdoo developed an informative entertainment publication based out of Chicago, IL. “THE 9s” was named after a commonly used phrase of being “dressed to the nines” which today refers to a man or woman having impeccable, up to date style and presence. The phrase originated in 18th Century England, when referencing women's gloves that went up to the elbows which were worn to galas, balls and palace events where one had to dress exceptionally well. Those gloves had nine buttons, so when indicating the need for upscale attire, they'd say "dress to the nines." The term eventually grew to include well dressed men and describes an overall flair which is a commonly used phrase in the mid-west to this day. 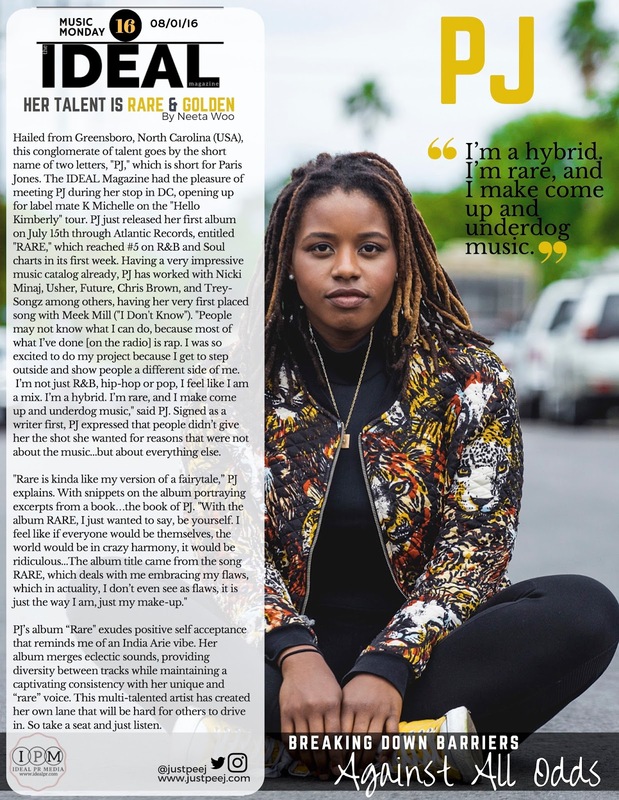 After almost a year of successful production, THE 9’s brought on creative consultant and newly appointed Editorial Director Neeta Wooten to take the ideas and look to the next level. New Creative Art Director/Layout Editor Thomas Agnew has taken the personality of Chico DeBarge and sprinkled the flavor throughout the magazine’s graphic presentation. There is an artistic value to the articles that bounce off of the pages, designed to visually intrigue its readers along with its content. So what’s inside? THE 9s is creative, entertaining and informative stories and topics that cater to the lifestyle of entertainment lovers ages 21-45. You will find features on music, fashion, film, health and fitness, trends and styles, travel and hot spots, celebrity news and sports in the nine (9) sections of the magazine. THE LOOK: Highlights fashion, fitness and beauty trends. THE WHAT: Focuses on health, social and lifestyle topics. THE WHERE: shares where to go for entertainment, vacationing, dining and other places worth knowing about. THE WHO: All about the people that are making it happen in the entertainment industry including celebrities and those on the rise. THE VIEW: Highlights films, art and eclecticism. THE SPILL: Provides the latest in celebrity images, news and gossip. THE KNOW: Recipes, education, foundations/charities and advice. THE MOVES: Everything Sports. THE SOUL: Poetry, authors and literary arts.